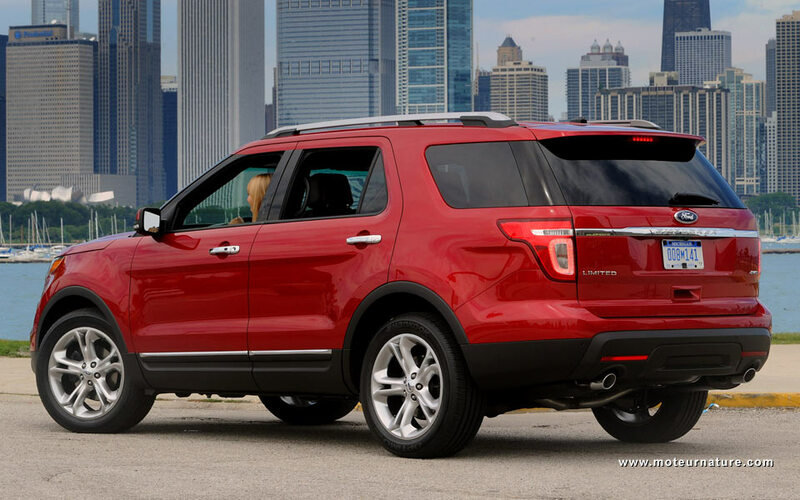 The best of European engine technology in a Ford Explorer? There’s no way to think of the Explorer as a green car. 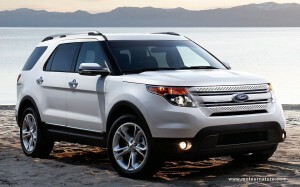 This is the average SUV for the average American family, let me say, middle of the class. The Ford Explorer is not bought by car enthusiasts anywhere, but it may appeal to tree huggers as it’s the perfect vehicle for a week-end trip to the lake. 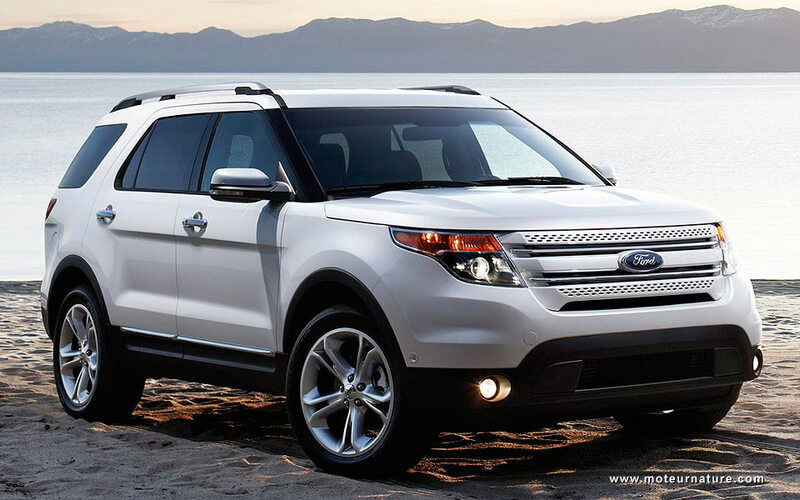 Sadly, when it comes to fuel economy, the Ford Explorer is no Prius. It’s a heavy vehicle with a gas-guzzler engine under the hood. Well, that was until now, as this 2011 Explorer changes everything, and break all the previous rules. Actually, we think of the Explorer as an SUV, but it might have become a crossover. 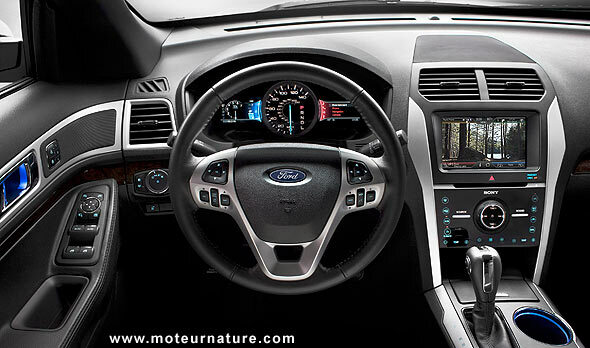 The 2010 Explorer was a classic body-on-frame vehicle, like a truck, the 2011 is now car-based, on the platform of the Taurus. Towing abilities will be reduced, but fuel economy shall be better, as weight is down by nearly 100-pounds despite the growth in size, with the Explorer gaining a couple inches in length and width. The biggest surprise in under the hood. The former base engine, an old 4.0-liter 2-valve per cylinder, is gone for good, replaced by a modern 3.5-liter V6 with variable valve timing for both camshafts. Power is up, with 290-hp and 255 lb-ft of torque. EPA numbers are not available yet, but we can expect a 20-percent improvement. Get ready now for the totally unexpected. The 3.5-liter V6 is the base engine, and the optional engine is smaller. Much smaller as it’s only a 2.0-liter. A four-cylinder, turbocharged and direct-injected, making making 237-hp and 250-lb-ft of torque. This is a very modern engine, an EcoBoost engine as Ford’s calling them, coming straight from Europe, where it powers a minivan, the S-Max, and Ford’s European family sedan, the Mondeo. With about 1000-pounds more than a Mondeo, the EcoBoost Explorer will not qualify as a sports car, but in city driving, where Explorer drivers spend most of their driving time, this small four-cylinder will permit a huge fall in CO2 emissions compared to past Explorer with V8. Does that matter to you? I hope it does, but I wonder about the Ford Explorer customers. Are they ready to pay more to get a smaller high tech engine?